Donald Trump is the President elect of the United States and an American business magnate and television personality. He is the Chairman of the Trump Organization, a US-based real-estate developer. According to some sources, Donald Trump has accumulated over $2.7 billion in wealth, primarily through real estate investments. Donald Trump was born to a successful businessman Fred Trump and his wife Mary. Fred was a self-made millionaire in real estate, based in New York City. After his graduation from a military academy, Donald Trump thought about going to film school, but decided to follow in his father’s footsteps in the real estate business. He experienced many successes in his early years as a real estate investor, and made several successful investments such as Grand Hyatt and the Wollman Rink. However, the recession of 1989 led to Trump’s bankruptcy. Some of the casino investments he made were financed using junk bonds, and he landed himself millions of dollars in debt. Trump ended up making agreements with his creditors and worked out a plan to repay them. By 1994, he had repaid a significant portion of his debt. 1997 onward was Donald Trump’s comeback years. He continued building real estate throughout cities in the US and Canada, with varying success. From 2004 to 2015, Trump hosted (and produced) a television show called The Apprentice, which became a long-running hit and earned him upwards of 1 million dollars an episode. In March 2011, Forbes estimated Donald Trump’s net worth to be at about US$2.7 billion. On November 9th, 2016 Donald Trump was elected President of the United States of America. He will be sworn into office on January 20th, 2017. Despite what you may think of him, Donald Trump’s ambition is unmistakable. He believes in making huge real estate investments because he sees the potential in them. Although Trump landed himself in debt by overextending his investments, he made an even stronger comeback. He became known throughout the business world for his comeback,; he went on to become a TV personality, and even the Republican nominee for President of the United States in 2016. A good leader should always think big. As Goethe once said, “Dream no small dreams for they have no power to move the hearts of men”. If you wish to speak to people’s hearts, remember that you have to think big! Donald Trump is passionate about many things: real estate, business and “making America great again”. He has often said it is energy that drives passion, and passion is what will make the impossible happen. 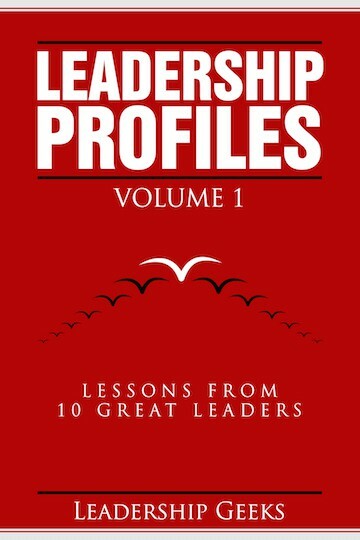 Passion should be your driving force as a leader. Where are you headed and does it make you excited to get up in the morning? A passionate leader inspires energy in his followers, giving them motivation to run an extra mile, stay the extra hour, and fight a little harder for the cause. 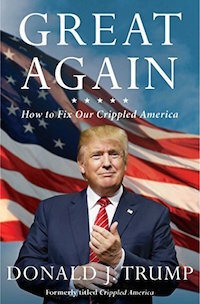 Although he went into bankruptcy, Donald Trump had the self-confidence to stand back up again. Where he is today personally and professionally (not to mention running for the presidency!) is a testament to his tenacity and ability to bounce back from failure. As an entrepreneur or a leader, you will experience failure. When you’re constantly breaking new ground, the chance of failing is far higher than staying in your comfort zone. The important question is to not “how can I avoid failure?” but how to bounce back afterwards. Your ability to learn and recover from your failures defines you as a leader and sets you apart from the rest! Who is Donald Trump? In our short bio above we really just skim the surface. This biography, written by Washington Post journalists paints a much more complete picture. 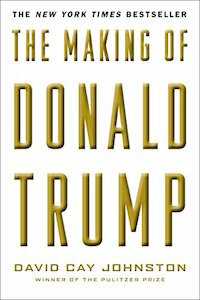 Another great biography on Trump, written by a pulitzer prize-winning journalist who reported on trump for three decades. 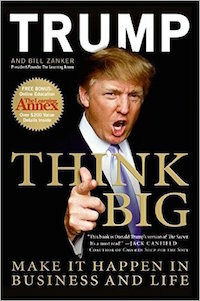 Trump’s most famous book covers his philosophies on business and life. Hear in his own words what made him a success. 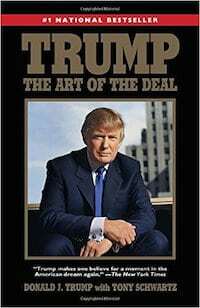 In this book, Trump shares his personal secrets to success, including why momentum is so important; why he loves getting revenge; and why he puts so much value on contracts. Even if you’ve been living under a rock, you’ve probably heard that Trump wants to “make America great again.” But what exactly does that mean, and how would he accomplish it? This book lays out his plan.